Another year, and another productive year no less! If you had told me last January that I would start and finish up three entire army projects (My Stormcast Eternals, Kharadon Overlords, and a large Death Guard force), and get another two finished (two different Haqqislam sectorials for Infinity), I'd probably have laughed. I think it is safe to say that this year has been my most prolific year as a painter. There was also a Bloodbowl team finished, a Necromunda gang, all of the Shadespire teams, and some random Tau now and again. I even found time for some other fun side projects we'll see below! I was more disciplined this year in making sure I continued to carve out painting time, and didn't let myself have many 'rest' periods that invariably turn into hiatuses. Hopefully I can keep that going next year! 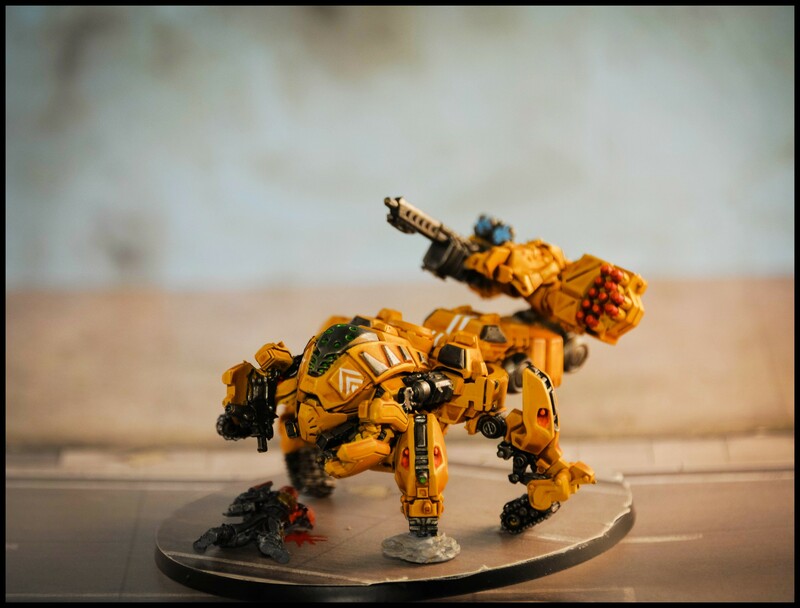 This was a kickstarter by Infamny miniatures. I don't choose to do larger scale figured very often, so I was happy with the result on this one! 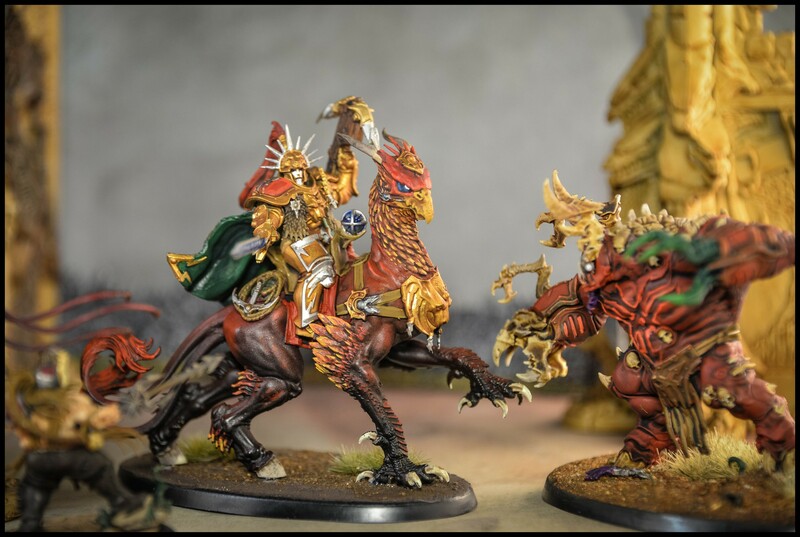 Choosing a color scheme for the beast that fit with the golds and reds of my Stormcast was interesting. In the end I went with something that matched it rather than a contrast. 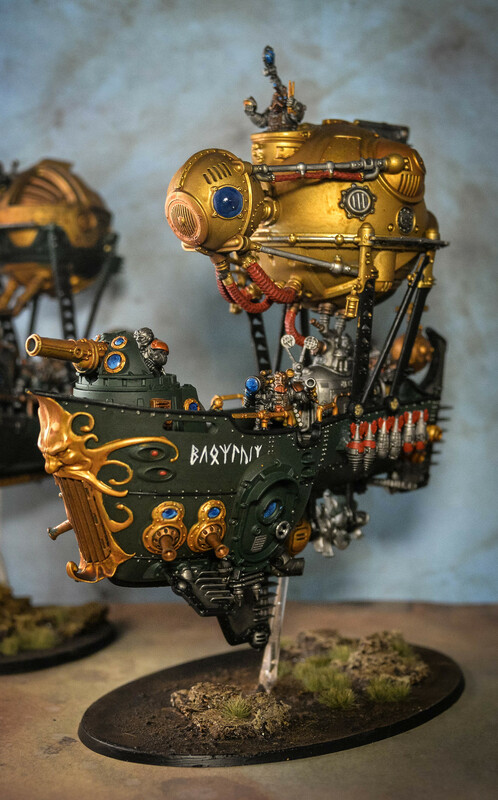 I was always going to be into Steampunk Dwarves, and the new Kharadon Overlords range from Games Workshop was a joy to paint! 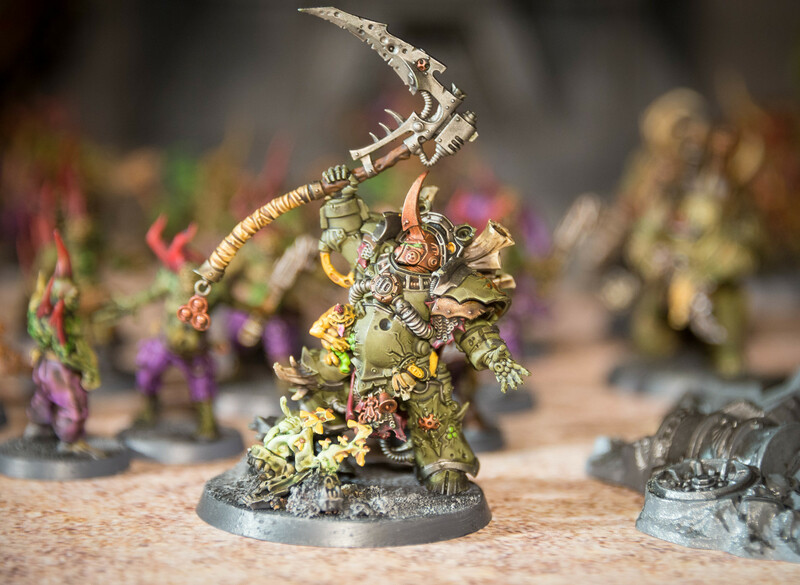 This is my favorite of the new Death Guard character models. 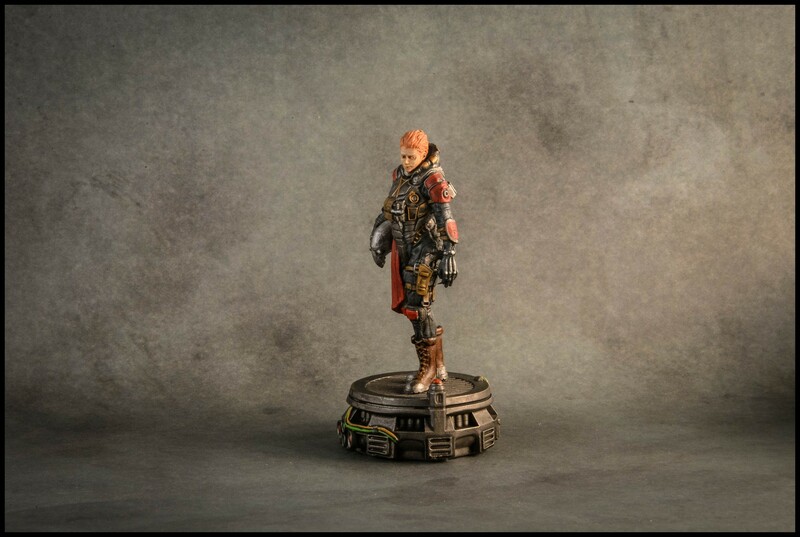 All of the new sculpts have so much character and the new version of Typhus was no exception. 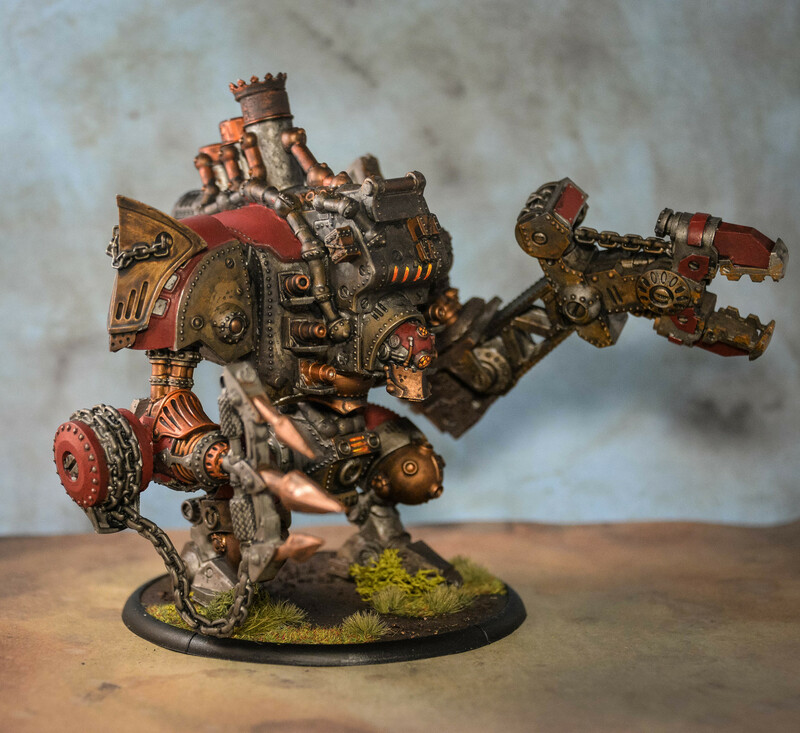 I have a thing for hulking great steampunk robots, so while I may never actually play a game with this guy I had the chance to paint him this year, so I jumped at it! This one comes from specialist casters Creature Caster and was my first time tackling one of their sculpts. He may even see play as a stand in for a Nurgle Demon of some kind! The big spider-like TAG for Haqqislam is a weighty hunk of metal, and a joy to paint. It has also proven pretty damn effective on the battlefield. 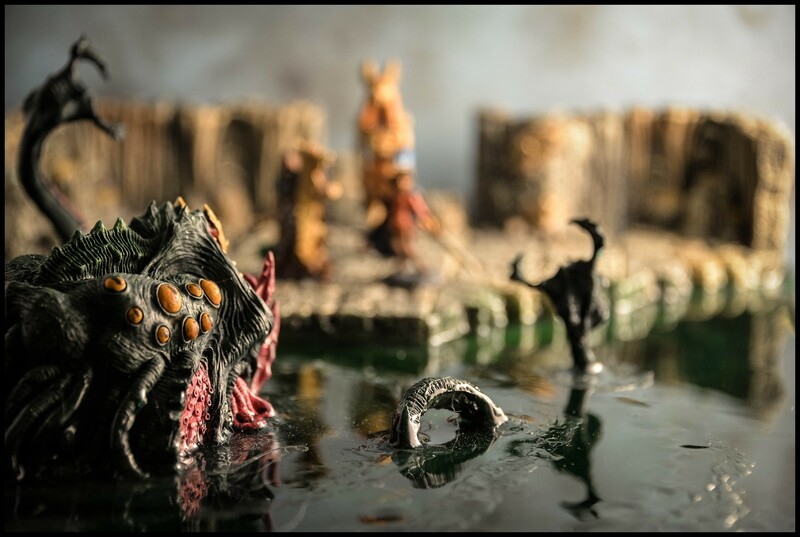 #3 - Facing the Kraken! 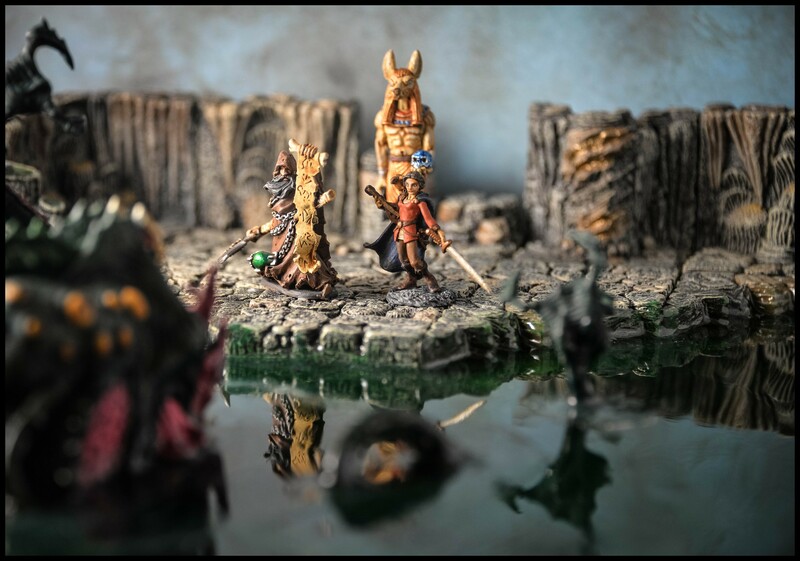 This was a diorama that my wife and I worked on for Valentines. We learned a lot about how to (not) work with crystal resin, but the results still worked out well! 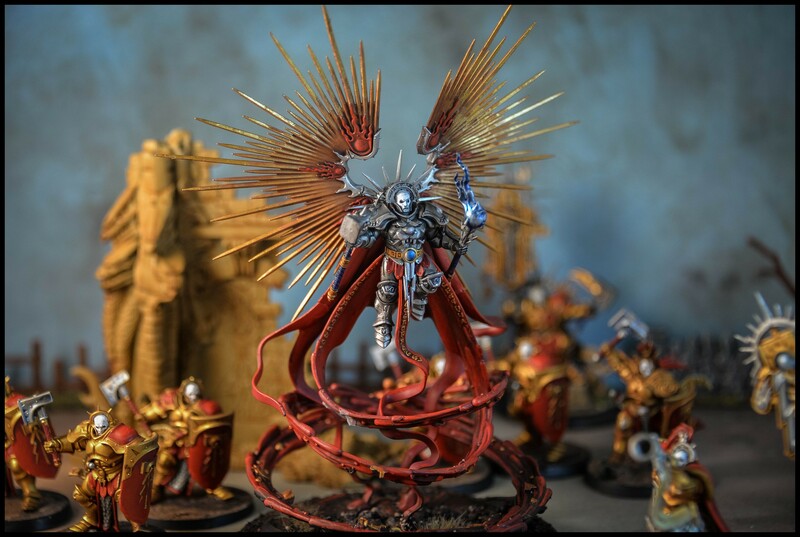 The center piece for my Stormcast Eternal army was painted in contrasting silver to make him *really* stand out amongst all the red and gold of the rest of my army. Easily my favorite project this year. The new Mortarion sculpt is amazing, and it was a joy to paint. He is kind of the pinnacle of the dirty, grungy aesthetic I used for all my Death Guard, and he worked out just the way I wanted. 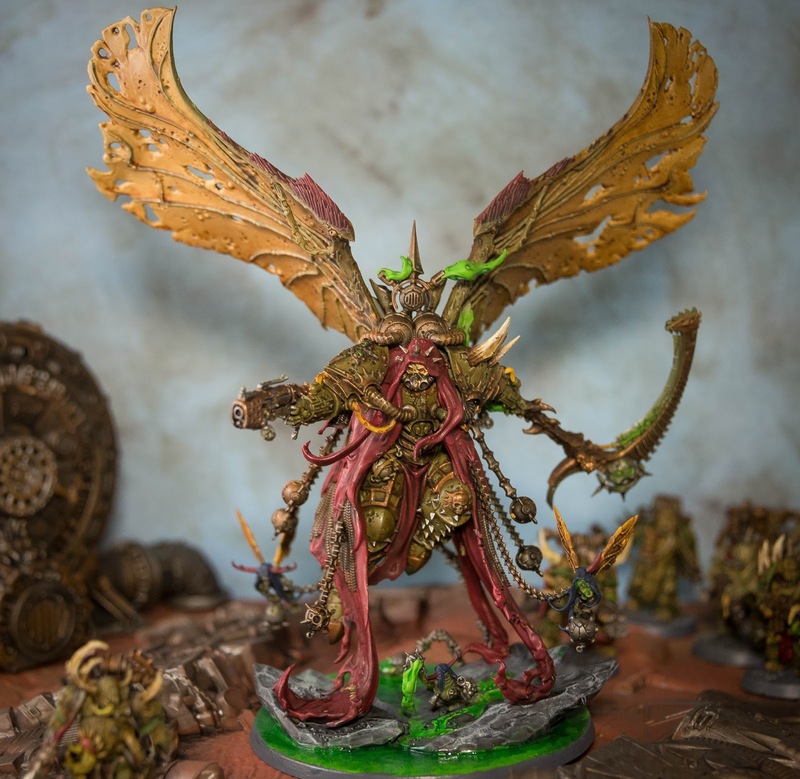 In particular the leather effect on his wings, and of all things, the green goo on his base.